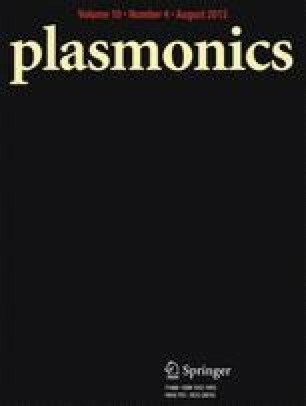 In this work, we develop a theoretical quantum mechanical model for describing the plasmon excitations in nanostructures. This model is based on the electronic density according to the Density Functional Theory (DFT). We derive an expression for finding an approximation to the dispersion relation in a nanostructure from the complete Hamiltonian of the system. We apply this expression to an aluminium nanoring showing how great, and not negligible, the ionic-interaction term is. The authors want to thank Dr. J. Fuhr for its kind assistance with Quantum Espresso and to Consejo Nacional de Investigaciones Cientí ficas y Técnicas (CONICET) for the awarded grants.